I love sitting in my patio because there I can inhale some fresh air and we love to have our lunch or dinner in the patio and also to perform recreational activities there. My patio adjoins my house and it is also typically paved. At the end of the day when I return home tired and messed up from my work, I take my kids along in the patio, we play there some hide and seek game, we gossip there and have a cup of tea. So after my green landscape, this is probably the best space for killing time. Earlier I had some branded sofa arrangements in the patio which were quite expensive. But when they had become totally deteriorated, I had to switch to some fine pallet made chair which were meant to equate the earlier branded sofas and coffee table. I have seen many pallet made furniture items in house hold, they offer the best utility inspite of being cost friendly. 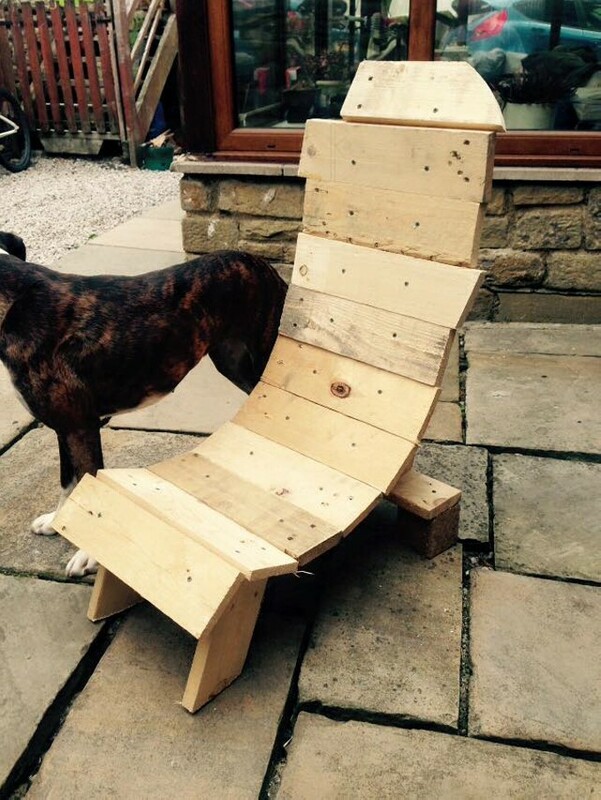 Here is our day’s project where we are going to repurpose wooden pallet patio chair. This is a sort of some easy chair. 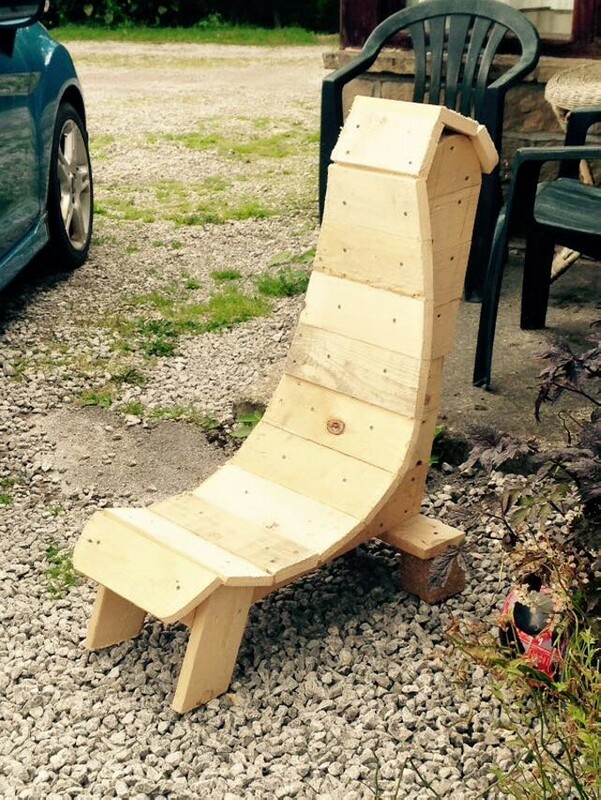 You can sit and completely relax on this master art craft recycled by some fine wooden pallet. As it is pretty visible that the entire structure of the chair is made of raw wooden pallet and nothing else is used as basic material in the making of this chair. This curved easy patio chair is going to give all possible ease and comfort to your backbone and your neck as well. Neither it is going to cost you any piles of bucks. All you have to do is to just grab some old pallets from your backyard and upcycle them just by employing some basic wood work skills and techniques. And it is all set for you.